Father Ravasi explains how St. Paul of the Cross envisioned the Passionist Nuns as contemplatives yet missionaries of the Crucified One. They were living a strict enclosure yet at the same time, sharing the fruits of the contemplation of their Crucified Bridegroom. 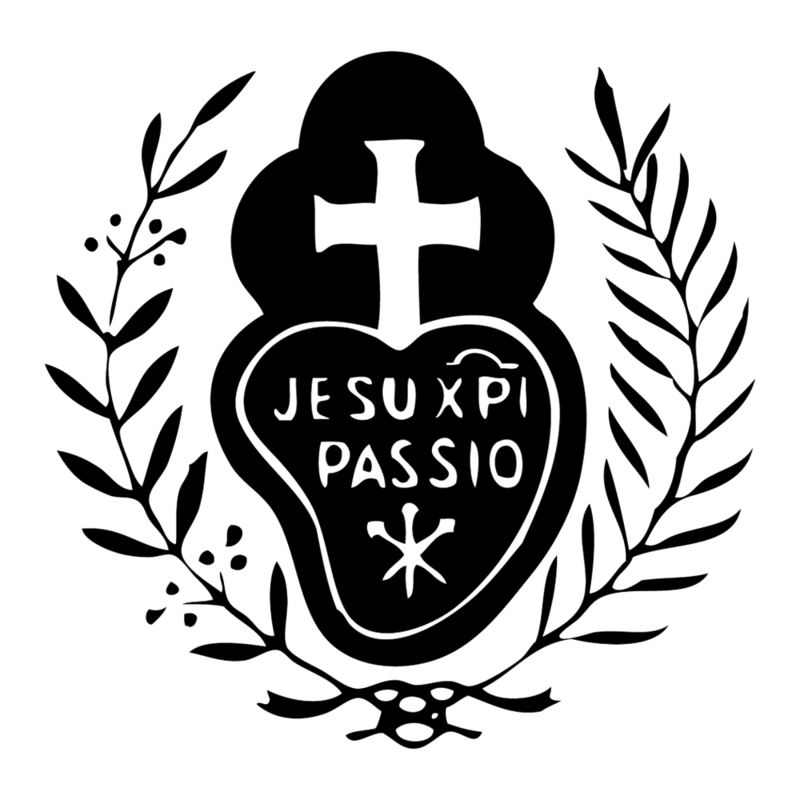 This “well-defined” Passionist vocation can be read about elsewhere on our website, but here I wish to explain a little more about the “perfect enclosure” that St. Paul of the Cross wanted for the Passionist Nuns. We each make a public vow of enclosure. Observance of the cloister is therefore, not simply a matter of keeping Church law for cloister, but a personal commitment and obligation to which each Nun binds herself. Our Holy Founder desired us to make this vow in order to safeguard our life of prayer. Enclosure is for the sake of a complete dedication of oneself and one’s life to prayer and union with God, so that each Nun may more easily cultivate a precious “enclosure of the heart”. Our great desire is to be “a sealed fountain, a garden enclosed” for Christ, the Beloved. (Song of Songs 4:12) Enclosure protects the sealed fountain, the garden enclosed, by setting boundaries of space and contacts that would impede our mission of prayer for the Church and the world. On our 170 acres of enclosed woodland, about 35 acres are strict cloister accessible only to the Nuns. To enter the cloistered life does entail a radical sacrifice of certain contacts with others, but only for the sake of being more completely concentrated on being Christ’s Bride and Helpmate in the work of redemption. For instance, we don’t take vacations or go home for visits. Our families can visit us at the monastery several times yearly (more often for a postulant). When families cannot come very often because they live at too great a distance, we are permitted phone calls with them, and of course we can write letters. We do own a couple of cars as we live 25 min. outside of Owensboro where our doctors are. We are also permitted to do our own shopping, and we go out to vote. When a member of our immediate family is in danger of death, we are permitted to go home to visit and pray with them and with the family, and we are likewise permitted to attend the funeral. To fulfill this contemplative vocation to prayer and sacrifice effectively, we absolutely need the boundaries established by the Church for cloistered Nuns. The cloister gives us the freedom and physical separation we need to preserve an atmosphere of silence and deep prayer in community and in our own hearts. Think of it this way: because our communities tend to be less than 20 members, imagine what devastation would occur in our communal prayer times if half the community were always missing because of going on vacations and home visits! It would dissipate the energies and the focus of the community on its mission of prayer. Although there is a great sacrifice on the part of a young woman entering the cloister, as also on the part of her family, God always fulfills His promise of the hundredfold. My father, for instance, once told the community that he thought he was giving up one daughter, but he ended up gaining 18 more daughters (our community members)! Other families have experienced the same. Sacrifice is a path to holy joy and abundance of life in Christ. God is never outdone in generosity. He is not stingy. If He asks us to sacrifice a true human good, it is only for the sake of a greater good. When the family comes to visit, they step onto “holy ground” where graces abound. Not only can they experience the warmth of our whole community, but they have the opportunity to participate in the prayer of the community. When they leave, they carry with them deeper bonds of love with their cloistered family member, and they usually say they have received the gift of peace and a greater desire for closeness to God. Also, some families say that they experience our spiritual presence with them at family gatherings such as weddings and birthdays. Remember, God is never stingy. If he asks someone to leave father and mother and family for His sake and for the sake of the Kingdom, He always gives back far more in return. Nevertheless, cloistered life is not a cheap grace. It does call for mature and generous hearts who are willing, as it were, to lay down their lives (deny self) for the sake of Christ and the Church. It is important to note that in our primitive rule, St. Paul of the Cross allowed lay women to enter the cloister to make retreats. He also provided for “aspirants” or young girls who would be educated within the monastery with a view to becoming Passionist Nuns themselves. And finally, St. Paul of the Cross allowed for the teaching of catechism to young girls who were preparing for their First Holy Communion. They were also to be taught how to meditate and pray on the Passion of Jesus. Here in the U.S. our Nuns never educated young girls nor prepared children for their First Communion, but all of our monasteries hosted retreats for lay women inside the enclosure until the late 1960's. Having retreatants inside the cloister proved a challenge for those monasteries that did not have separate retreat houses. Because of the danger that the true contemplative spirit would be lessened, these monasteries discontinued the retreats, even though the Rule still permitted this ministry of hospitality. In 1991, when we were planning to relocate our monastery to 170 acres of rural solitude, we realized we would have enough acreage to build a guest house adjoining our monastery but separate from it. With this new arrangement, our contemplative spirit is totally preserved while we offer the possibility for guests to make a retreat and join in our community liturgy and other times of Eucharistic prayer. Whereas groups bring a retreat master with them for a preached retreat, ordinarily those who come to our guest house make private silent retreats. Currently only two Nuns are assigned to work in the guest house, while the rest of the community are with retreatants only during the liturgy. "Religious communities for their part—contemplative Institutes in particular, with due attention to preserving their distinctive spirit—should offer to the men of our day helpful opportunities for prayer and spiritual life, thus meeting a need for meditation and a deepening of faith which is acutely felt at present. They should also offer suitable opportunities and facilities for sharing in their own liturgical celebrations, without infringement of the laws of enclosure and other rules laid down in this regard." Because the Passionist Nuns do not have centralized government but are all “sui juris” (self-governing) monasteries directly under the Pope and the local Bishop, each monastery is free whether or not to offer retreats. Our community decided to return to this tradition of hospitality partly because we realized that most of us had entered the community after we had made a retreat at the monastery! That seemed to us a good reason to revive the tradition of the retreats.